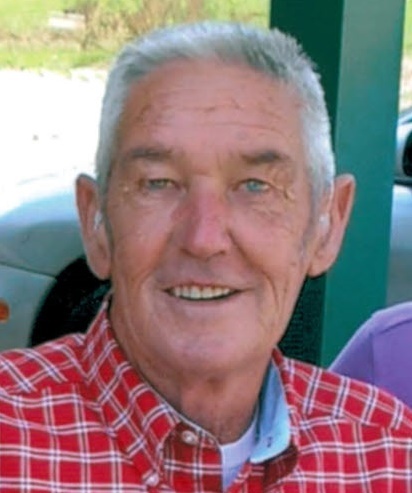 Everett E. Gilham, 75, of Sullivan, IN passed away Friday, March 22, 2019, at Gibson Family Center for Hospice Care in Terre Haute, IN. He was born May 22, 1943, in Sullivan Co., IN to the late Homer and Lela (Brewer) Gilham. He retired from Peabody Coal Company after 30 years of service, was a Northeast School Corporation bus driver, and assisted his father-in-law and son with farming. He was a member of the board of trustees at Hickory United Methodist Church in Dugger, IN. He served on the Sullivan County 4-H Fair Board and Council. His favorite times were spent with his grandchildren, family, and friends. He was an avid lover of horses and mules. Survivors include his wife of 52 years, Susan Exline Gilham, whom he married on June 25, 1966, twin children, Terri Sue (Chris) Nolan of Boonville, IN and Brian Keith (Sharon) Gilham of Sullivan, IN, two sisters, Betty Blann of Sullivan, IN and Anna Mae Johnson of Pendleton, IN, five grandchildren, Waylon Swan and Wyatt Nolan, Cole Keith Gilham, Carter Dean Gilham, Coy James Gilham, two step-grandchildren, Caleb Unger (Samantha) and Cheyenne Drake, and several loved nieces and nephews. He was preceded in death by brothers, Rene, Amos and Henry Gilham, and sisters Chloe Webster and Barbara “Phoebe” Crooks. Funeral services will be held at 10:00 a.m. Wednesday, March 27, 2019 at Brust Funeral Home, 400 N. Court St. Sullivan, IN. Burial will be at Center Ridge Cemetery in Sullivan, IN. Friends may visit from 4:00 p.m. until 8:00 p.m. Tuesday, March 26, 2019.